20142 Eagle Stone Dr, Estero, FL.| MLS# 218055837 | Southwest Florida Residential Real Estate for Sale. 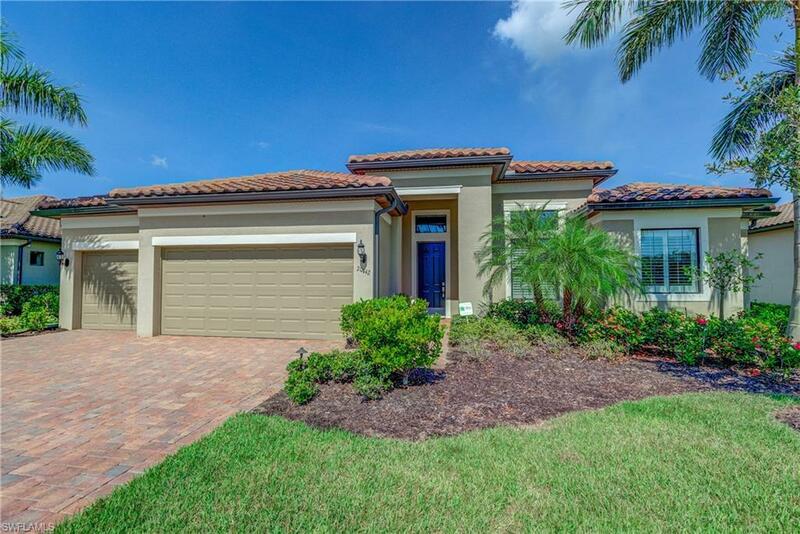 Welcome to our beautiful home in the very popular community: The Preserve at Corkscrew. The home is situated on the most perfect site in the entire subdivision . . . Lake and preserve in the rear view of the home, preserve view in the front of the home, and it is on a Cul-De-Sac street which limits traffic. If you enjoy cooking and entertaining you need to look no further! Premium appliances with spacious stone counters and tons of cabinet storage. Walking into the living area and you can't help to notice the wide view through the mitered class door wall that overlooks the pool, water feature and lake/preserve area. Over sized lanai allows for sunning, dining, evening lounging and star gazing. Three bay garage, bonus crafts room, giant master retreat, paver driveway, tile roof, the list of features are too numerous to mention. Beautiful, state-of-the art clubhouse with heated resort style pool, well equipped exercise room and social areas. Call for your private showing of this fabulous, modern, Pulte built home in a popular, low amenity fee community. Home is in move in ready condition for your Florida dream residence.